Rent Casa Marina Hotel & Restaurant | Corporate Events | Wedding Locations, Event Spaces and Party Venues. The historic oceanfront Casa Marina provides a picture-perfect setting for the Wedding of Your Dreams! Our rich history will add a bit of romance and natural beauty to create a romantic wedding beyond compare. Let us amaze you with a feeling of classic, timeless glamour from the moment you check in for a memorable overnight visit, extraordinary lunch in The Penthouse Lounge or Sunday Brunch. Even a martini or lemonade on the verandah will steal your heart. 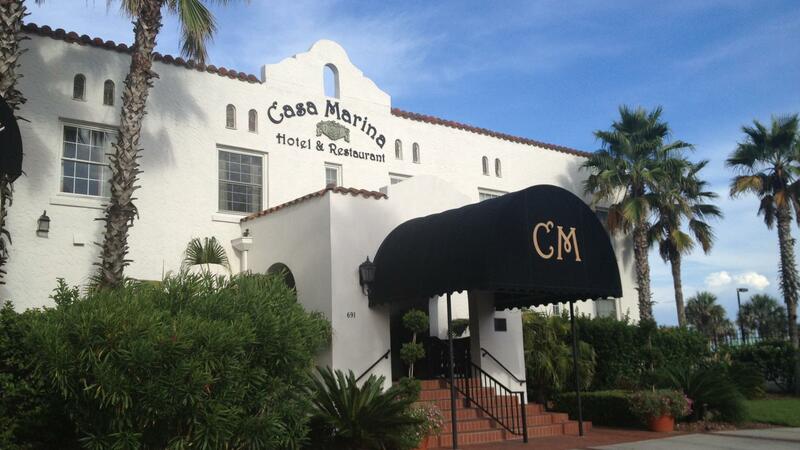 The Casa Marina Hotel and Restaurant (circa 1924), prominently positioned on the dunes of the Atlantic Ocean, has opened their historic Hotel and Rooftop for select small corporate retreats. Their clients can enjoy the entire 3rd floor exclusively as the Casa Marina staff assures them professional personalized attention with a bonus…oceanfront vistas. How often does the top team of your company get away from the office for a corporate retreat? Or any type of corporate meetings? You work daily under pressure with little chance to spend quality time with your colleagues. If your objectives are getting to know each other better, building a team to work harmoniously, being more innovative or getting to work on strategies, you will achieve so much more if you get away.